Published: March 24, 2019 11:07 Samar Khouri, Special to tabloid! BIG keeps stealing the hearts of its Arab fans. 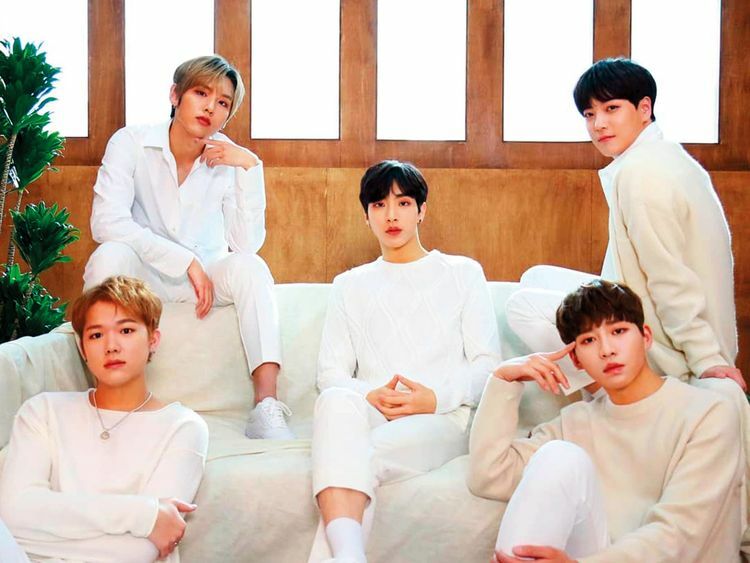 After a month of releasing a cover of The5’s hit song ‘La Bezzaf’, the K-Pop group returned with another cover of an Arabic song. This time, they sang Abu and Yousra’s popular 2017 track, ‘3 Daqat’. This time, the five members — Benji, Gunmin, Heedo, Minpyo and Jinseok — sang alongside female singer Soya. Since the music video’s release on March 14, it has received a lot of love and attention among their Biginning fan base, gaining more than 1 million views on YouTube. The band also shared behind-the-scenes footage of them at the studio recording the song. BIG mentioned on Instagram that “The Global Cover Project has just begun!” This may be a hint for fans that there are more Arabic cover songs coming. Formed by Korea music label GH Entertainment, the all-male group BIG, short for Boys In Groove, have been in the K-Pop scene since 2014. Jinseok joined the band in January after member J-hoon enlisted in the mandatory military service last November. Once he is discharged, BIG will be promoted as a six-member group.